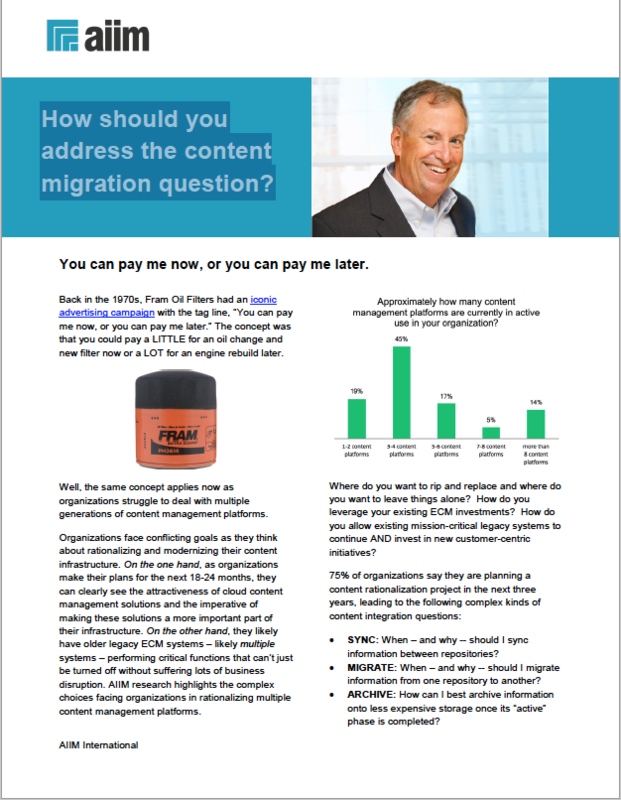 Organizations face conflicting goals as they think about rationalizing and modernizing their content infrastructure. On the one hand, as organizations make their plans for the next 18-24 months, they can clearly see the attractiveness of cloud content management solutions and the imperative of making these solutions a more important part of their infrastructure. On the other hand, they likely have older legacy ECM systems – likely multiple systems – performing critical functions that can’t just be turned off without suffering lots of business disruption. AIIM research highlights the complex choices facing organizations in rationalizing multiple content management platforms. Download this AIIM Tip sheet today!